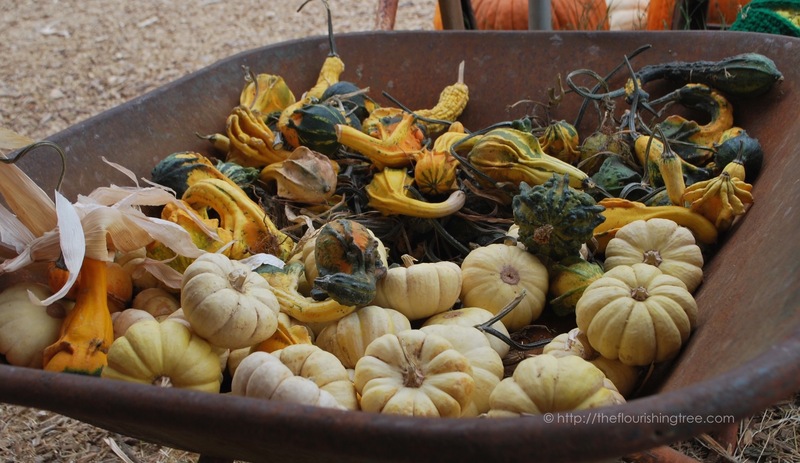 The brave woman stood at the temporary sink, surrounded by children holding small pumpkins to rinse off and take home. Was she a teacher? A parent? A courageous volunteer taking part in an elementary school field trip to a pumpkin patch? I didn’t stop to ask but drove carefully past the cluster of children and their pumpkins. I had come to the pumpkin patch because of nostalgia. Driving through rural Virginia a few weekends ago, my husband and I passed several fields dotted with pumpkins. Those fields made me long for a proper pumpkin patch, and my bare porch begged for a few pumpkins. So I took my own field trip yesterday, a solo visit to a pumpkin “farm,” really a patch where someone else had already done the picking. Cinderella’s stagecoach in the background? I wandered around, taking pictures, enjoying the laughter of parents and children as they picked out their perfect pumpkins. 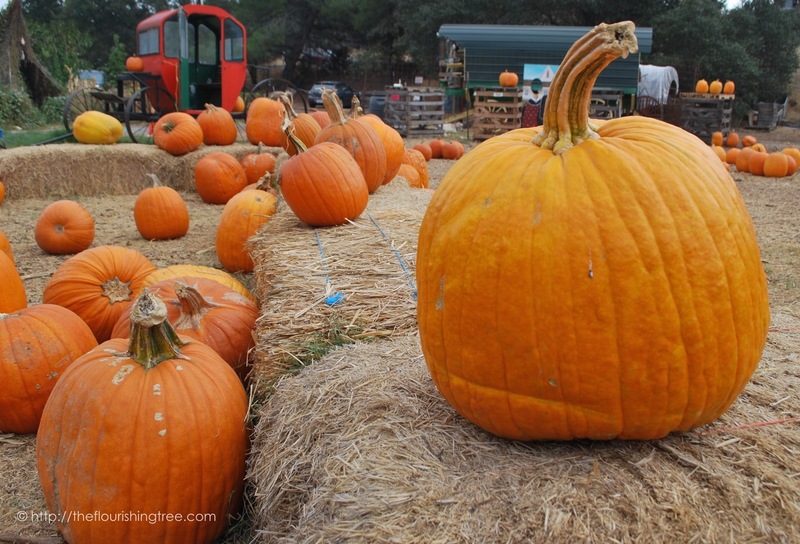 I thought of Linus falling asleep in the pumpkin patch, waiting and hoping for the Great Pumpkin’s arrival. I kept my eyes open for the best pumpkins. 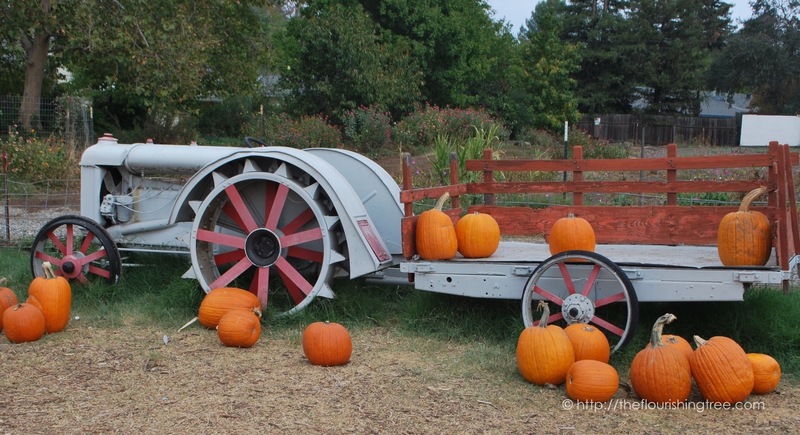 Someone had fun decorating old farm equipment for the season. Can you spot the chicken in this picture? I guess by this point in pumpkin season, the chickens are ready for Halloween to come and go. They’ve also either gotten in some good sprint training or have found their own favorite hidey holes at the pumpkin patch. 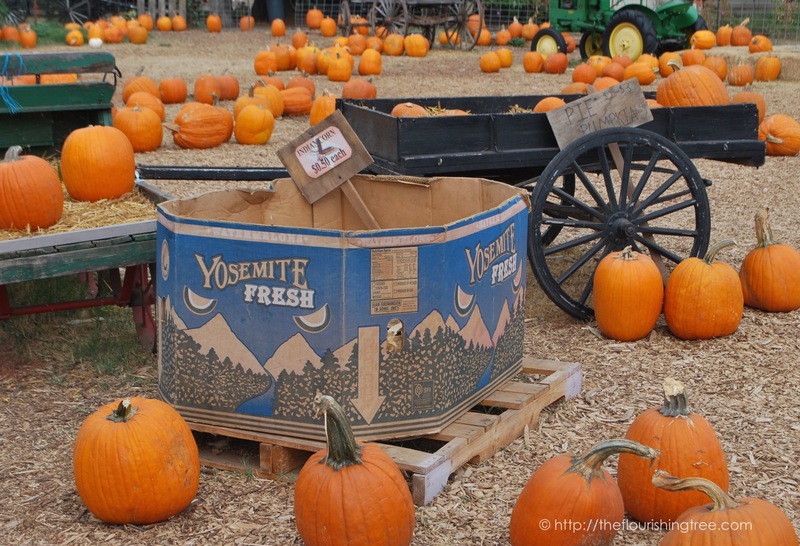 Have you been to the pumpkin patch, farmers’ market or local grocery store to stock up on pumpkins? If not, there’s still time. 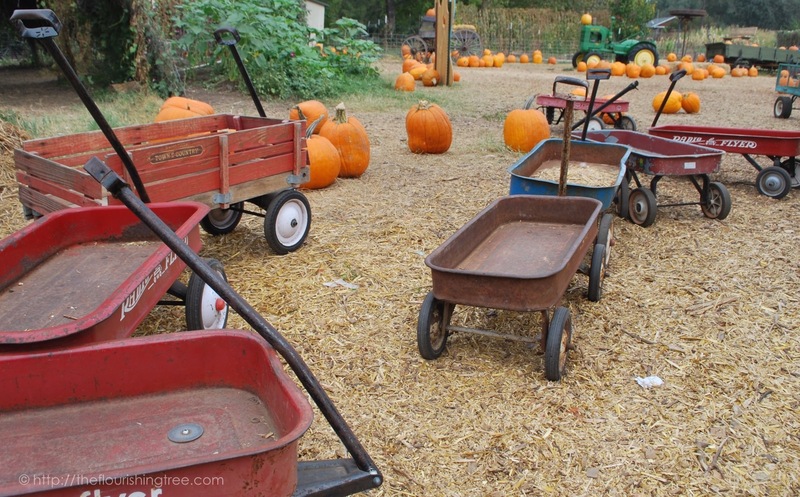 The pumpkins (and the wagons) are waiting. Our porch is no longer bare. We’re almost ready for trick-or-treaters (there’s candy still to buy). We’ll keep our pumpkins as Thanksgiving decorations, but I always feel a bit odd about not carving a jack-o-lantern. My dad always carved one for us growing up, and maybe that’s part of the nostalgia that won’t let me skip buying pumpkins each Halloween. How about you? Do you carve jack-o-lanterns—either simple or elaborate? 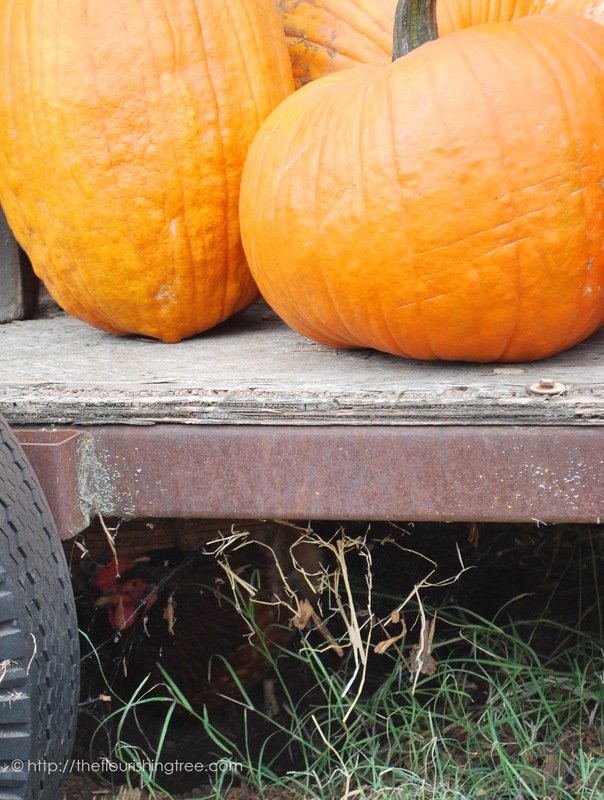 Or do you keep your pumpkins whole to double as Thanksgiving decorations? What other ways do you, your family and your neighbors like to celebrate Halloween? However you celebrate, let me wish you and yours a very happy Halloween! 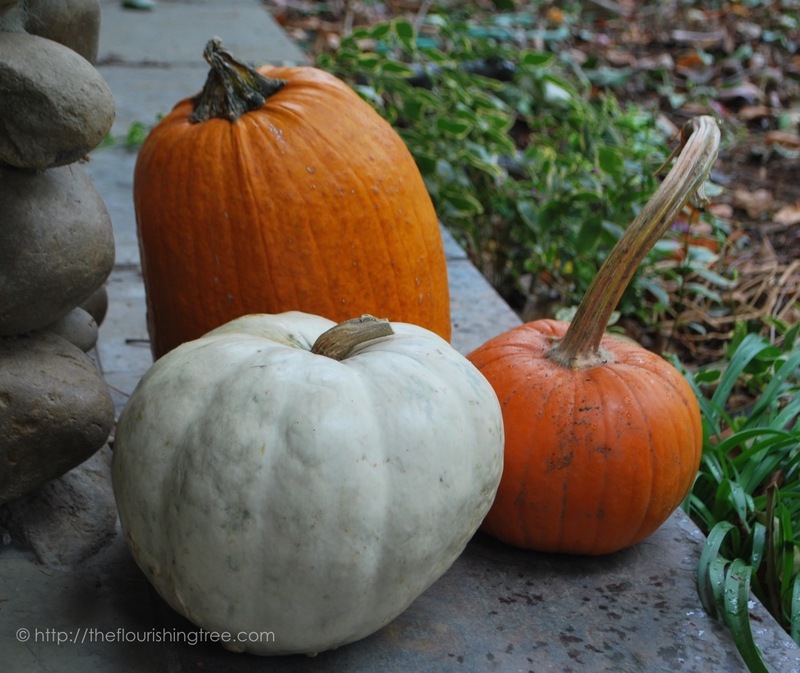 This entry was posted in flourishing tree and tagged candy, chickens, farm, Halloween, Halloween decorations, Happy Halloween, jack-o-lanterns, nostalgia, pumpkin patch, pumpkins, to carve or not to carve, trick or treat, trick-or-treaters by hopesquires. Bookmark the permalink.